Community gardeners at the SWAG Project, in Newark, New Jersey, raised over $6,000 to invest in their garden and more deeply involve their neighbors. SWAG is an urban farm, food justice, and community building project in Newark, New Jersey. For nearly 10 years, SWAG has worked to turn the tide against food deserts in New Jersey by educating neighborhood kids (and their parents) about urban agriculture, working as a community, and taking an active role in their health. With ioby, SWAG raised over $6,000 to start collecting rainwater, build two new compost bins, put up a hoop house frame for germinating plants, and offer long-term internships to local high school and college students—all with the goal of improving the farm’s sustainability and self-sufficiency. Roughly 48 percent of Detroit households are food insecure. Deeply Rooted Produce, led by Dazmonique Carr, helps Detroiters take control of their health and food by offering nutrition education workshops, health assessments, and consultations with health professionals. With ioby, Dazmonique raised close to $4,000 to purchase a van for Deeply Rooted’s mobile grocery store. The van will bring fresh, locally grown, affordable produce to the city’s food deserts so residents who can’t otherwise get to such food will have easier access. 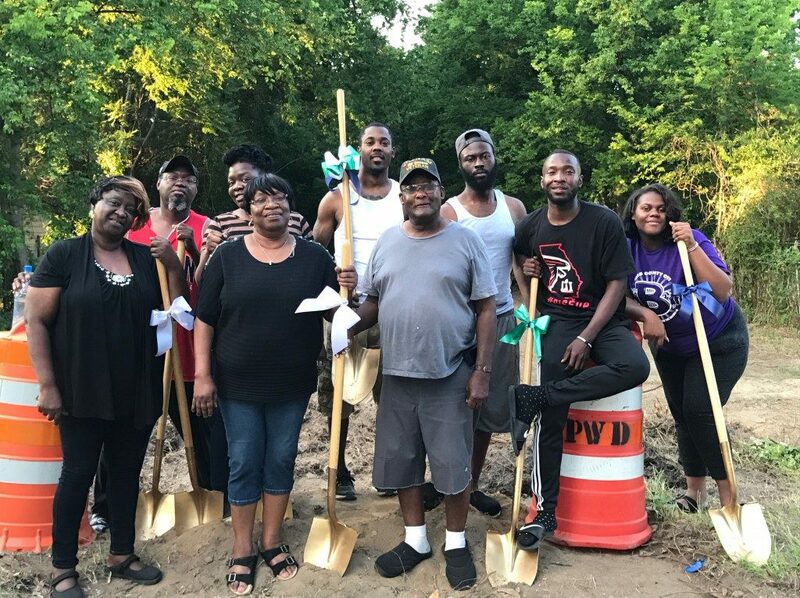 Longtime neighbors in Macon, Georgia, are banding together to care for their own community and build Georgia’s first “agrihood” and fight their own food desert. Asset-based community development is about taking stock of what a neighborhood has—not what it lacks—and building it up from those starting points. When Macon native Danny Glover got fed up with seeing grocery stores close and buildings shuttered in his once-vibrant neighborhood, he decided to revive its agricultural traditions by using what was still there: land, neighbors, and community spirit. According to Kansas City Community Gardens (KCCG), 19 percent of residents in Jackson County are food-insecure. Thankfully, community gardening is an effective way of increasing access to and affordability of healthy food. KCCG supports over 450 garden sites throughout the Kansas City metro area; in 2016 alone, they helped 20,000 families grow half a million pounds of food. With ioby, KCCG raised over $2,000 to expand Prospect Community Garden with the help of nearby Blue Hills Neighborhood Association and Blue Hills Community Services volunteers. Their garden improvement work days were followed by community workshops about gardening in raised beds, caring for fruit plants, and cooking with garden produce. 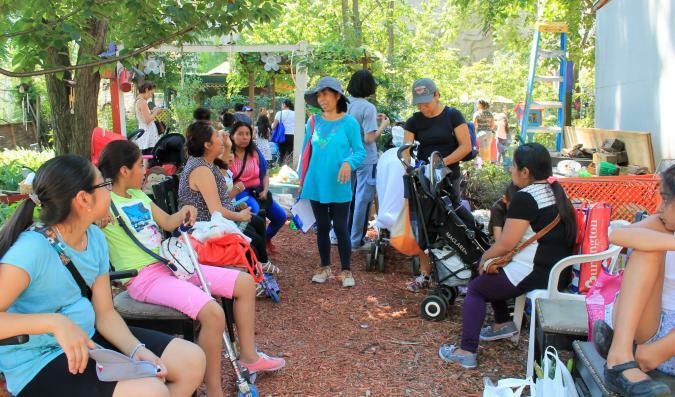 Cada Paso: The Next Step, in New York City, raised money to host walking tours that featured health resources in their neighborhood. The realities of food deserts, food insecurity, and food justice will remain changing and complex. But we hope reading about what these ioby Leaders have been able to accomplish in their corners of the country will help you think imaginatively and act locally to fight for food justice where you live. Already have an idea for a food-related project in your neighborhood? Tell us all about it! We can help you make it a reality.